Reality stars are a dime a dozen. With Father's Day on the way you could probably use a great idea for a gift that totally rocks. If Dad is into cats then these funny Bad Kitty Boxer Briefs are just the thing! It's time to give 'em shelter with a covered canopy for their outdoor comfort. Summer wouldn't be 'cool' without them. 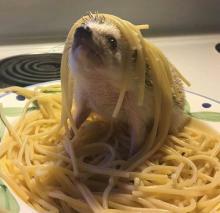 I've had spaghetti a lot of different ways, from spaghetti and meatballs to spaghetti with clam sauce, but I've never had spaghetti with hedgehog before! Once upon a time on the Yucatan peninsula there lived a beautiful princess who fell in love with the prince of a rival tribe. 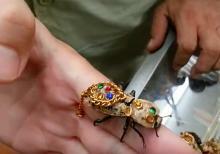 Their love was forbidden and they could never marry. 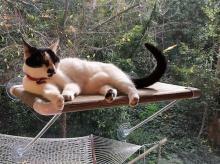 The Ultimate Cat Perch holds 80 pounds, but its 24 x 14 perch may be limited to just a few cats that probably won't amount to 80 pounds. 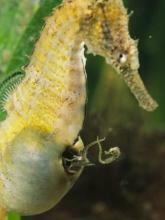 In the aquatic world of seahorses it is the father that gives birth to the babies. Here is a photograph of a dad in labor pushing out the young.